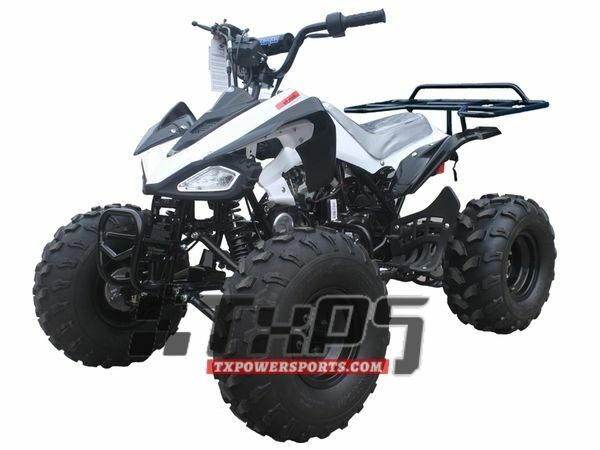 The Tao Tao G ATV 125 CHEETAH is an outstanding four wheeler for both kids and adults! 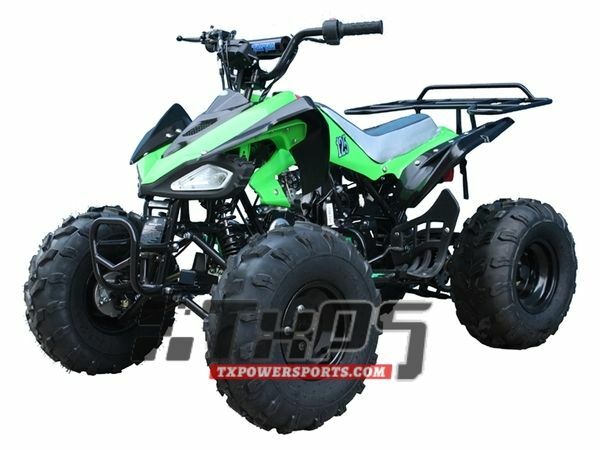 The max weight load of 280 lbs and bigger frame make it possible for you and your kid to take a ride together. It’s also a great mid-size ATV for teaching older kids how to handle the machine on their own. 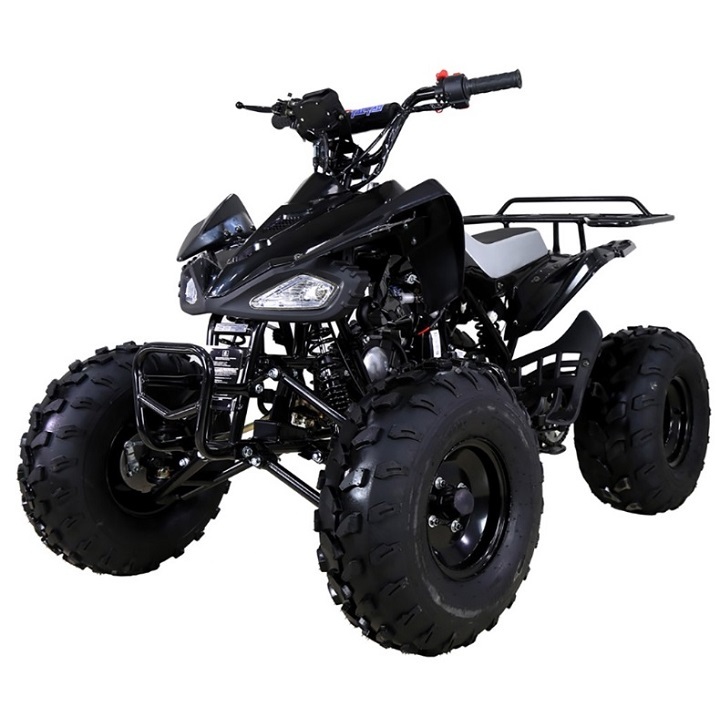 However, safety features like the speed limiter and remote engine kill still give parents control over the way their kids ride. 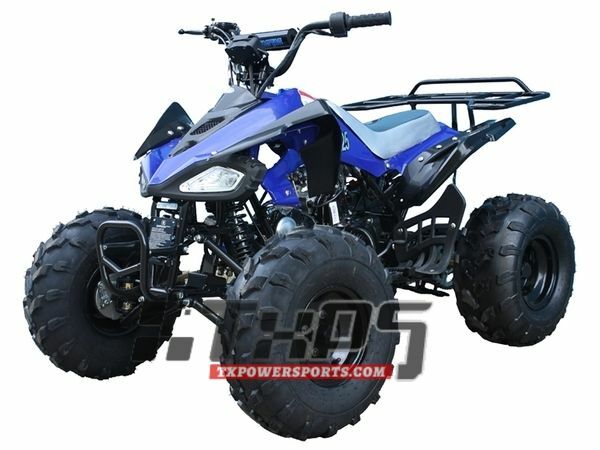 The Tao Tao G 125 ATV is a fun and stylish way to enjoy the outdoors whether you are taking it on or off road. 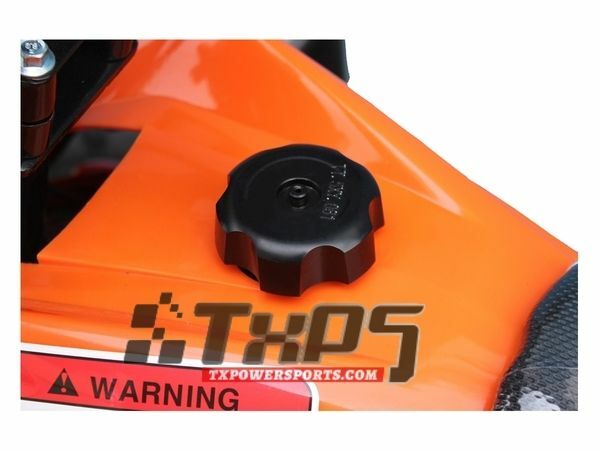 The TaoTao ATV 125 CHEETAH ATV for sale here at TX PowerSports is offered at the best price guaranteed! 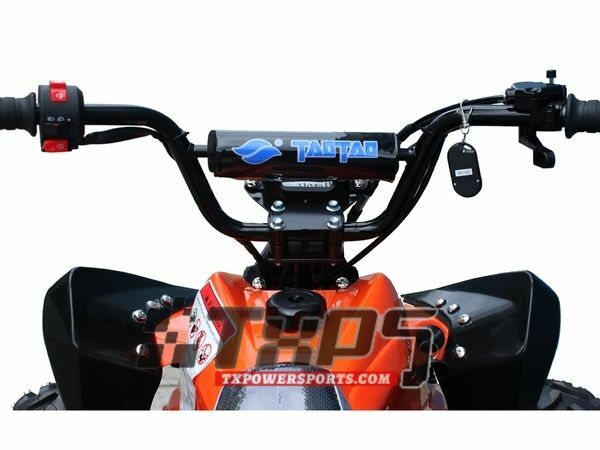 If you find it at a lower price, let us know and we’ll beat it. 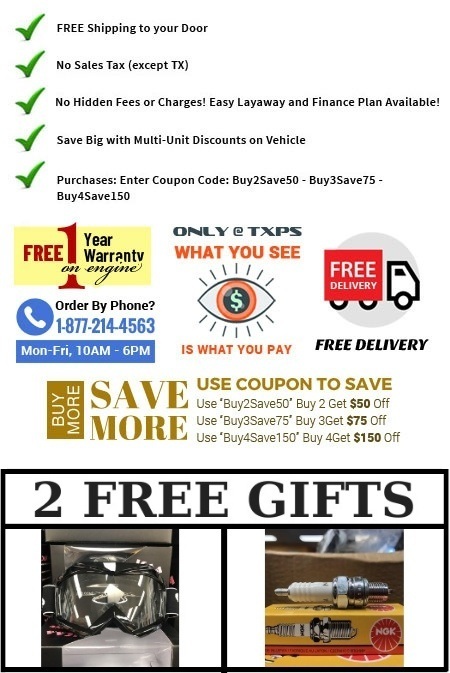 We’ll even throw in a 1-year engine warranty at no extra charge. 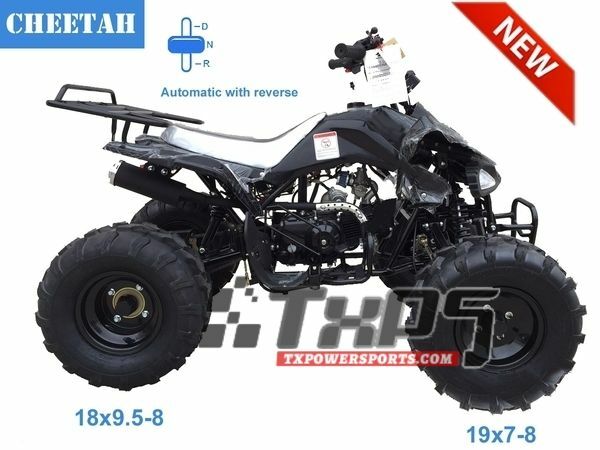 The Tao Tao ATV 125 CHEETAH ATV FREE shipping offer saves our customers tens, if not hundreds of dollars and makes the ordering process super convenient. We’ll get your order processed fast so that the ATV will arrive right to your front door as quickly as possible.